This week Toyota, the world's largest automaker, announced its next-generation connected vehicle framework at the 2016 Consumer Electronics Show in Las Vegas, Nev., accelerating its initiatives to provide its customers with greater convenience and increased data security. The framework builds on advances in automobile, IT and communications systems to enhance Toyota vehicles with connected technologies. Toyota's connected vehicle framework is anchored by the installation of a Data Communication Module (DCM) into a broader range of its vehicles starting with model changes in 2017 in the U.S. market. Availability will expand to additional regions and countries following the U.S. Adding DCM will connect Toyota vehicles to cellular telecommunications networks, expanding the ability to transmit data for products and services. At the same time, when using a customer's smartphone with an in-car device, it is important to help promote safe driving and the transmission of vehicle and customer information in a secure manner. Toyota will jointly develop standard middleware with UIEvolution, Inc. (UIE), one of the leading companies in this area, for application to Toyota's in-car devices globally. With this business collaboration, UIE can develop a smartphone app which uses vehicle data and provides it to third-party service and app providers authorized by Toyota with UIE's service environments. It enables a customer's smartphone to access vehicle data in a highly secure environment through TBDC, and Toyota can offer its customers secure smartphone-car connection services. Mirai Creation Investment Limited Partnership, a fund where Toyota participates as an investor, invested five million U.S. Dollars in UIE at the end of last year. Shigeki Tomoyama, Senior Managing Officer of Toyota Motor Corporation, said: "Carmakers can continue to offer additional value by proactively using rapidly evolving IT technologies. In particular, we want to provide our customers with a safe, secure and convenient mobility life." The connected vehicle framework reflects Toyota's overall commitment to globally deploying safe and highly secured connected vehicles and IT platforms, leveraging the rise of "Internet of Things" technologies to help realize a mobility society in which customers are more able to enjoy driving. In addition, Toyota announced it has entered into an agreement with Ford and Livio to establish an industry development and operation framework to deploy Livio's SmartDeviceLink (SDL). Other automakers and app developers are welcome to join this collaboration. 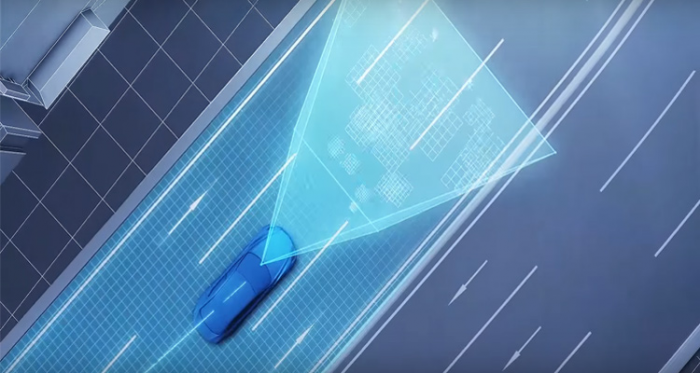 Toyota will also commercialize a telematics system using SDL, an open source platform for smartphone apps and car connectivity where customers can use apps in their vehicle through voice recognition function and operation panel.